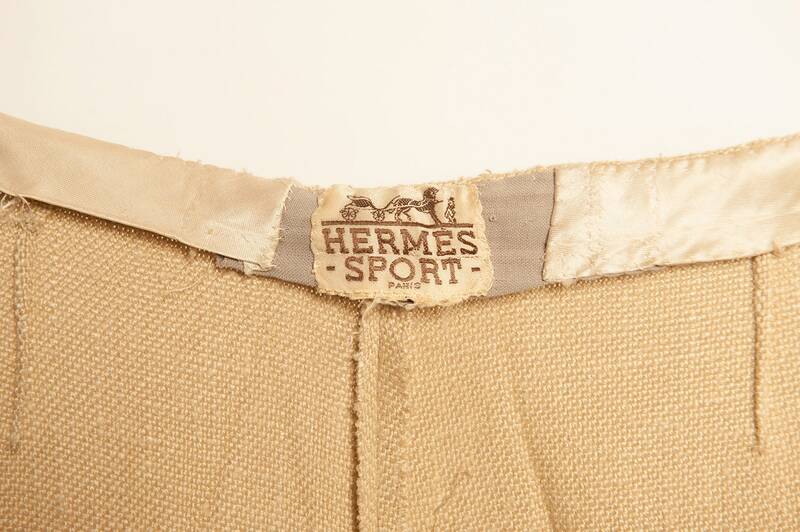 Linen pants by HERMES sport from 1970's. 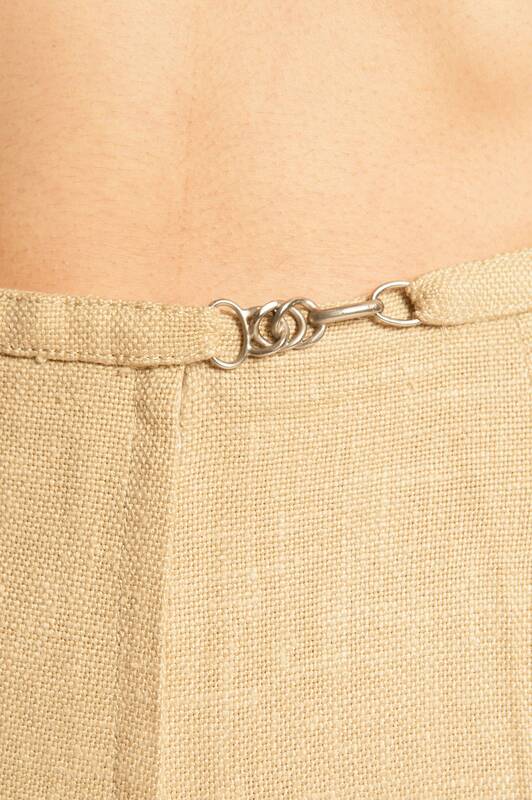 Closure with a metal hook as seen on the 6th photo and a zip. Good; there are slights sign of wear (no damages).